The one thousand-seat Goldwyn Theater of the Academy of Motion Picture Arts and Sciences was near capacity the evening of May 24 for an event hosted by Academy Governor Bill Kroyer. 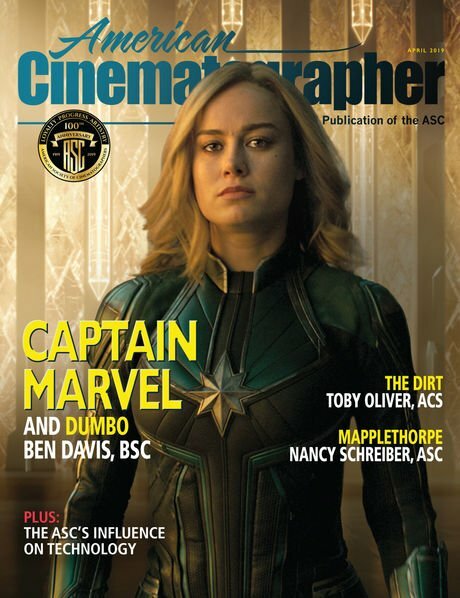 The program featured cinematographers and other filmmakers examining the evolving role of cinematography as the motion picture industry burrows deeper into the digital age. “Class photo”: l to r: Rob Hummel, Bill Kroyer, John Bailey, Adrian Seery, Chris Sanders, Guillermo Navarro, Dean Semler, Dean DeBlois photo by Greg Harbaugh (c) A.M.P.A.S. After the house lights dimmed and the curtains parted, a clip from a 1951 Academy produced documentary unreeled. 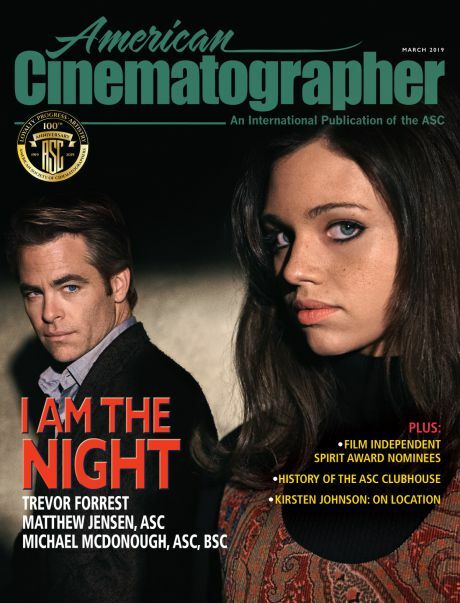 Titled The Cinematographer, it explained to a then contemporary movie audience the role of the director of photography in the production of Hollywood motion pictures. The film opens with a dolly-in profile shot of the current state-of-the-art film camera, a 35mm rack-over, Mitchell BNC. Several tracking shots in a studio camera department reveal an array of cameras; another shot presents a variety of lenses and filters. then a B/W contrast viewing glass to his left eye as he peers from behind the BNC. The cinematographer in the film was one of the great directors of photography of the time; in fact, an Academy Award winning one---not an actor. A group of Young Turks seated behind me find the film to be hilarious; their laughter spills over with the condescension of the ignorant. True enough, this is not how cinematographers dress for work today; perhaps these young men think the light meter and the contrast glass are also relics of a by-gone day, ephemera in a “what you see is what you get” HD digital video, waveform monitor era. In his opening remarks following The Cinematographer, outgoing Academy Executive Director Bruce Davis told the audience that this is the first in a series of programs that will look at the increasing role of digital technology in an industry recreating itself just as audiences and the general culture embrace ever new technology in all aspects of their lives. Davis believes it is uniquely appropriate that cinematography is the focus of this first program: the adoption of digital imagery, perhaps, being the greatest change to come to cinematography since the introduction of sound. The first speaker, Academy Sci-Tech Council member Rob Hummel, gave an historical overview explaining the structure of color film, first through an explanation of the physics of RGB color and an analysis of the Technicolor 3-strip camera, then of Kodak’s introduction of single strip, multi-layered color emulsion in 1951. Rob Hummel with a photo he shot at Arches National Monument, formatted to anamorphic full aperture frame. photo by Greg Harbaugh (c) A.M.P.A.S. Hummel gave a contrasting illustration of how film emulsions and video arrays interpret color, highlighting fundamental differences between the two media, and why video imagers struggle to refresh their pixels with every frame. It was a dramatic illustration of why the random grain structure of every film frame is a more effective light capturing technique than a fixed array of electronic sensors. Next up, Academy award cinematographer Dean Semler (Dances with Wolves) showed clips from several of the seven feature films he has photographed with the Panavision HD Genesis camera. Semler emphasized his ability to continue shooting on a day scene in Apocalypto, long after a film camera would have run out of light. He said many actors prefer the longer running time of video over film to help them “stay in the flow.” He showed a photo of a Panavision magazine he had made as a joke for an impatient Jim Carrey—a Styrofoam mock-up “Ultramag” of 8000 feet capacity. Semler is a major digital camera advocate—but he did wax nostalgic about film, even recalling the familiar whirr of a 35mm film projector in an adjacent booth as he was waiting for a digital projection to begin. Jim Carrey and Semler's daughter, Ingrid, film loader, with the 8000' Ultramag. Fellow Oscar winning cinematographer Guillermo Navarro (Pan’s Labyrinth) discussed his abiding love of motion picture film in a one on one conversation with Kroyer. Although he is about to embark on his first HD digital video feature in 3-D, his choice of film as a preferred medium is not the least bit nostalgic, but is based on sound technical considerations. Navarro discussed the wide dynamic range that he says still gives film an edge, especially for a cinematographer intent on pushing that edge. His impassioned observations on the “discipline” that governs the running of a film set is not a viewpoint often cited. Navarro says that even being aware of the running of film through the camera gate helps distill everyone’s energy, actors and crew alike. Tapes, discs, hard drives, whatever the recording medium in digital video, all present a less focused aesthetic—one that often seduces everyone to start shooting too soon—effectively rehearsing on tape. Rather than giving more freedom of expression to actors, director and crew, Navarro believes that such an approach can promote distracted work habits. Video cameras left running while dolly positions are re-set, props reloaded, extras moved back to first position—can all contribute to a more chaotic environment. Since videotape or hard drive space is perceived as less costly than film, a too casual aesthetic often falls into place. Navarro’s point is well made. I have observed this approach myself on some of the video projects I have done. My wife, Carol, a film editor who inherits too many reams of this unmediated digital “data” calls this scattershot approach “hosing it down.” Another situation common on video productions is how removed the cinematographer becomes from the camera setup and his crew, trapped in a black tent or a dark corner of the set. The director also haunts the video village HD monitor, leaving the actors to look at only the camera crew when a distant disembodied voice calls “cut." Navarro articulated these thoughts wistfully, but his nostalgia was tempered with a certain resignation. Academy Award winning cinematographer Wally Pfister spoke on tape from his current London location for The Dark Knight Rises. His recent film Inception was widely perceived as a VFX/CGI masterwork; it would seem to be a "poster child" for digital cinematography. But Pfister and director Chris Nolan continue to affirm their advocacy of film. Pfister showed the stunning mirror sequence with Leonardo DiCaprio and Ellen Page that was photographed outside the Paris Bir-Hakeim metro station, already famous in the opening sequence of Last Tango in Paris. The large swinging mirrors that Page rolls out were a mechanical production effect, digital technology employed just for removal of the reflected camera. Dean DeBlois and Chris Sanders, Academy Award nominated animators, discussed how they worked with cinematographer Roger Deakins to produce dramatic lighting and compositional effects on their animated feature How to Train Your Dragon. This was not Deakins' maiden venture into the world of animation. Wall-E and Rango testify to his abiding interest. Bill Kroyer observed that in animation it is now possible for a cinematographer to light and compose a movie collaborating with the animation team, using all the skills and aesthetic nuances that define his work--- without a camera. Roger Deakins is a recent convert to digital video cinematography. He has stated that since his decision to shoot several recent films in high-def video, he does not anticipate returning to film. Even though Deakins’ pensive portrait by Owen Roizman hovered over the seated figures of DeBlois and Sanders, I deeply missed hearing him in person, sharing his thoughts on his recent conversion to digital video with the Arriflex Alexa. As it was, film advocates had most of the bully pulpit. Anyone expecting to hear only hosannahs to a brighter digital future may have been surprised at the impassioned advocacy for celluloid's continuing relevance. Bill Kroyer with Dean DeBlois and Chris Sanders, Owen Roizman's portrait of Roger Deakins, above. photo by Greg Harbaugh (c) A.M.P.A.S. The non-enviable assignment of being the last speaker fell to me. 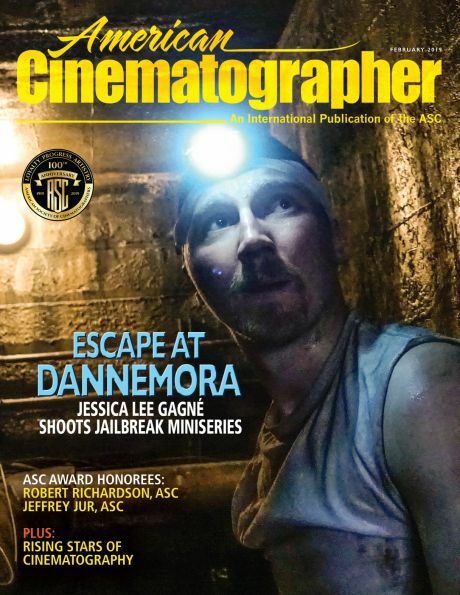 Recently, a weeklong international symposium of cinematographers was hosted by the ASC. I had been one speaker at an afternoon program at the Academy’s Dunn Theater that discussed the “Digital Dilemma,” a catchphrase that was the title of the 2007 report by the Academy’s Sci-Tech Council. Co-author of the report and Sci-Tech Council member Milt Shefter, as well as several speakers representing the studios, such as Sony’s Grover Crisp and Andy Maltz of the Academy, discussed ongoing efforts to archive and preserve digital media, including the digital intermediates that serve as the master record, this in a world where the fragile and ephemeral nature of these materials has spawned another buzz-phrase—“digital nitrate.” Still pre-occupied with the concerns of that international cinematographer's program, I decided to present a mini-historical overview of one way traditional photochemical answer printing evolved toward today’s digital intermediate (DI). This segment began with a short clip from Silverado—the four cowboys first riding together. Riding sequence from “Silverado” in B/W photo by John Hamilton. Possessing none of the Powerpoint prowess of Rob Hummel, the easy anecdotal humor of Dean Semler, nor the suave charm of Guillermo Navarro, I had decided to speak from written remarks, not trusting my limited extemporaneous skills. Here's what I said. The photograph you see on screen is a 1923 portrait by Edward Weston of cinematographer Karl Struss. Five years later, Struss and Charles Rosher won the first Academy Award for cinematography for F.W. Murnau’s Sunrise, one of the late masterpieces of the silent era. Karl Struss is also the uncredited cinematographer that you saw in the film that opened this evening’s program. Karl Struss at his camera amid Cooper-Hewitt lights, 1923 photo by Edward Weston. Here’s an interesting note: Struss’ Bell and Howell, hand-cranked camera that you see in the Weston photo and the BNC camera that he uses in the film clip from 1951—or even today’s just off the line Panavision Platinum camera— all of these film cameras are celluloid cousins. You can go out now, shoot a roll of film with any of them—and run the print on any projector in the world. Most video cameras, even Arriflex’s brand new state of the art Alexa are obsolete within a decade and the fate of their digital master tapes or hard drives is an unanswered question up for grabs. The sobering fact is that our shift to embrace digital technology in all phases of production represents a major sea change in how we think about and make our movies. I chose the clip from Silverado, filmed way back in 1984, partly because my friend Rob Hummel never seems to tire of seeing it …. But it’s also an excellent illustration of how movies were color corrected and graded at the lab until about a decade ago, when the Digital Intermediate process began to supersede cut negative and photochemical answer printing—a path that had been in place for nearly a century. I’d like to walk you through a bit of this history. It leads us directly into how we finish most films today with the digital intermediate. Larry Kasdan and I wanted to photograph Silverado in the widescreen 2:40 aspect ratio. Since the introduction of Fox’s The Robe in 1953 many large-scale exterior movies, especially Westerns, were photographed with a lens system incorporating an anamorphic 2-1 image squeeze that produced this format. It was known by several names such as Cinemascope and Panavision. A “poor man’s” version called Techniscope was introduced by Technicolor Italy in the early 60s. It used a 2 perf. rather than 4 perf. frame, exposing half as much negative as standard 35.This was the format for the Sergio Leone “spaghetti westerns.” Director Monte Hellman also chose it for Two Lane Blacktop my own first feature film as an assistant cameraman. It is Techniscope’s deep focus look, soon re-named Super 35, that Kasdan and I wanted to emulate in Silverado. Super 35 quickly became a first choice for many cinematographers—but it had one drawback. Blowups for release had to be done on antiquated optical printers. But with the introduction of the digital intermediate this became easier— and better—and Super 35 became a standard format. Moreover, all the tools that had been available for decades in the photochemical world were now possible with the DI—plus more. Control of contrast or gamma, of primary and secondary colors, of desaturation, super-saturation, solarization, bleach by-pass, blow-ups, scene re-positionings—all now done in the DI suite without resort to dupes and the limits of RGB grading. In other words—it’s now possible to do to the motion picture image everything you can do with a program like Photoshop. Once the finished look is locked in, all downstream media track clone-like through multiple iterations. Systems that perform this amazing work are called DaVinci, Lustre, Nu Coda, and Baselight. Also, near real time power windows allow all these controls to work within isolated parts of the frame itself. But with this whiz-bang technology, the cinematographer’s role is undergoing major changes. Comfy seating, snacks and lattes have made the DI suite a tempting parking place for any interested party. In the past, photochemical answer printing was done by the lab color timer and the cinematographer working together in a cramped cubbyhole—until the cinematographer felt ready to show the film to the director and producer. Today, the DI suite is an arena for a broad spectrum of opinions—where the colorist often juggles conflicting points of view and where the cinematographer struggles to be heard above the din. Some like to say that movie images made with digital cameras are essentially “data”—zeroes and ones—rather than artfully created images by the director and cinematographer. You sometimes hear an on-set mantra—“Don’t worry, we’ll fix it in post.” Those “fixers” ensconced in the DI suite eight months later may not include the cinematographer, who often is on location photographing another film, like Roger Deakins and Wally Pfister tonight. In this not unlikely scenario, the DI colorist becomes the cinematographer’s best link to realize his intentions. The myriad possibilities inherent in the DI process and the multiple opinions voiced in the DI suite can leave an absent cinematographer hardly recognizing the film when it is released. Understanding these problems, especially with movies "born digital," the Sci-Tech Council of the Academy, along with members of the American Society of Cinematographers, has spent the last five years developing an architecture that generates on-set metadata from digital cameras to track the photography through all phases of production. Choices that the cinematographer makes on the shooting set will be easily retrievable in the DI suite. Called "Image Interchange Framework" and short-handed as “IIF” this system is still in a test phase. Once fully adopted, IIF will enable the cinematographer to avoid a visual Tower of Babel. Even as this digital meta-universe expands, traditional photochemical answer printing is disappearing into a black hole. Film prints struck from the “filmout negative,” itself generated from the digital intermediate—seem doomed. Several major studios have announced that within eighteen months they plan to end 35mm release prints for US theatrical exhibition. At that point, the most compelling reason to create a filmout negative will be for archival protection. Without this film protection, the digital intermediate becomes the default master for the completed motion picture. Ten years ago, some cinematographers fought desperately for the DI as it promised a whole new level of photographic control. It was then (and still is) more expensive than photochemical printing from cut negative and at first some producers were loath to budget the several hundred thousand extra dollars required. But since 2008, major studios have wholeheartedly embraced the digital intermediate route. Few cinematographers are now able, even when they may feel it’s more appropriate, to finish photochemically. As we have seen here tonight, an all digital workflow is the increasing reality of today’s filmmaking and no nostalgia for the by-gone, hands-on era of celluloid will make it return. But—there is no free lunch. The rush to employ only digital technology has created downstream problems beyond those already confronting the producer, director and cinematographer—and that is, the archiving, preservation and frequent migration of digital files to new formats. This includes the vulnerable digital intermediates. Frequent migration is especially critical for movies that are “born digital” where no original film negative exists. Movies “born celluloid” have often survived decades of storage through “benign neglect.” Conversely, some films finished via digital intermediates less than a decade ago are now in greater danger of being lost to posterity or trapped in obsolete formats, than movies photographed and printed on nitrate stock almost a century ago. Here’s an example. Brian Meacham, a preservationist of the Academy’s Archive, is responsible for finding some 75 lost silent era American films, “end of the road” nitrate exhibition prints that had somehow survived stored in New Zealand’s Film Archive. They are now at the National Film Preservation Foundation of the Library of Congress. Among them is John Ford’s 1927 feature, Upstream. It was shown here in the Goldwyn Theater last September 1. AMPAS announcement for “Upstream” screening. The expression “digital nitrate” highlights this vulnerability to loss of today’s motion pictures. Veteran cinematographers, still linked to a century old tradition of 35mm. film, but embracing the ever-expanding potential of digital technology, are experiencing their own digital dilemma. An important thing for us all to understand is that the digital intermediate is more than a continuation and expansion of the traditional answer print process-- it is also a rejection of its archival stability. This should be of immediate concern to cinematographers today, who do not just “capture” motion picture images. We are the creators of its artful subtleties--- as well as front line custodians, in concert with post-release archivists, of its preservation into the future. Bill Kroyer telling Bailey, Seery and Hummel that their time is up. Photo by Greg Harbaugh (c) A.M.P.A.S. Before and after the program, a section of the grand lobby was set aside for demonstrations of several HD video cameras, including the by-now fabled “swing cam” system that gave James Cameron such freedom of movement in creating the virtual world of Avatar. It commanded center stage. The Halon/Insight virtual camera system demonstrated in the lobby by (l-r) A.J. Biones, Clint G. Reagan, and E. Bradley Alexander (manning the "swing-cam") photo by Greg Harbaugh (c) A.M.P.A.S. I drove home with Carol that evening trying to sort out what synthesis of fact and emotion the event had offered the audience. Ten years ago, I wrote an article for the Sunday NY Times about digital video technology at a time when Hollywood studio films, though by then edited digitally on Avids, were still photographed with film cameras. The article was titled, “Don’t Fight, Co-exist.” It documented my own journey into digital video "image capture" on the Fine Line feature, The Anniversary Party. We had photographed it in PAL format, the still current NTSC format being of inferior resolution. European PAL offered marginally better quality; HD was not yet an easily available option. The movie’s exhibition, however, was on 35mm film prints. D-cinema was still very much at the talking stage. Now, a decade later, I am still struggling with this personal digital dilemma. Largely a cinematographer of the "celluloid era" and its historical continuity, but also the cinematographer of ten digital video projects, I find myself looking with mixed emotions over my shoulder. It would be easy to consign motion picture film to the dustbin of history if only… if only what? There are still for me too many unresolved questions to justify a total embrace of digital cinema, especially if it means killing off film, which seems to be the stated intent of some. In a recent interview I said I feel like a lemming headed toward a cliff. In the center of the pack, I feel the push from behind; I also, unfortunately, see the cliff ahead. Its crumbling precipice is of disappearing ones and zeros. Next posting will be in two weeks: the discovery of a lost Caravaggio masterpiece--- in a Dublin residence of Jesuits. Please subscribe to the blog: auto email notice. The box is below.